I was able to get Moon Glow caught up last weekend so 2 of my 3 BOMs are caught up. I’ve got 3 kits of Hampton Ridge in a pile for me to complete and that’s one of the top to do items for this weekend. For some reason – I’m not feeling Hampton Ridge right now. I have a feeling it’s because I’m so behind and unlike the other BOMs – 3 kits translates to 12 blocks. Oh well, I’ve just got to put my big girl pants on and just start doing it. Hopefully, I’ll start getting into it once I do. That’s what happened with Moon Glow last week. I didn’t have any intention to finish up Moon Glow so I hope that whatever bug got into me then will get me going on Hampton Ridge. Right now I’m quilting the straight lines on Flowers and Baskets with a walking foot. I’ll be done with that this weekend. Then, I’ll be quilting inside the blocks of flowers and baskets. That may take me a little while as it’s a mix of straight lines and FMQ. But they’re going to be different on each block. Then I’m going to work on FMQ on the empty blocks between the flowers and baskets. I’m still not sure what to put there but they’ll be the same on each empty square. And finally, I’ll quilt the borders. 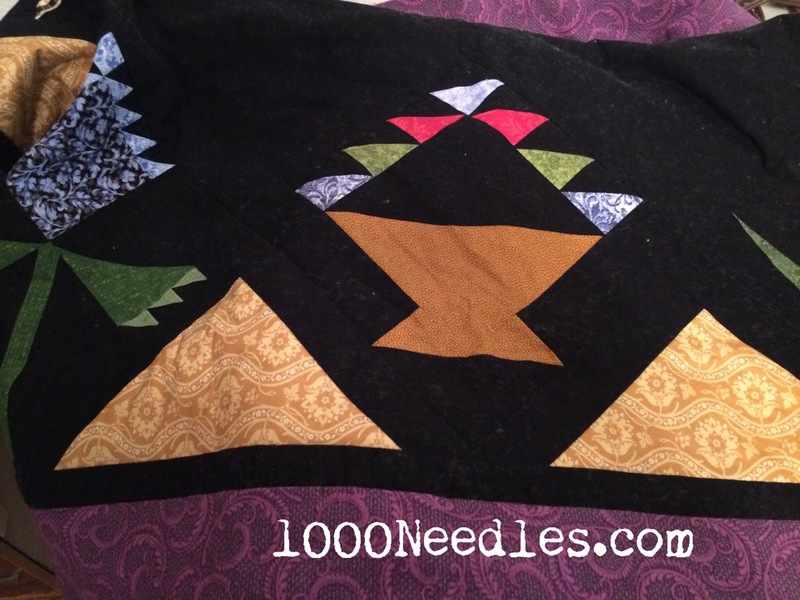 Everything within the borders will be quilted with black Aurifil 50w. The borders will be quilted with a purple Aurifil 50w. 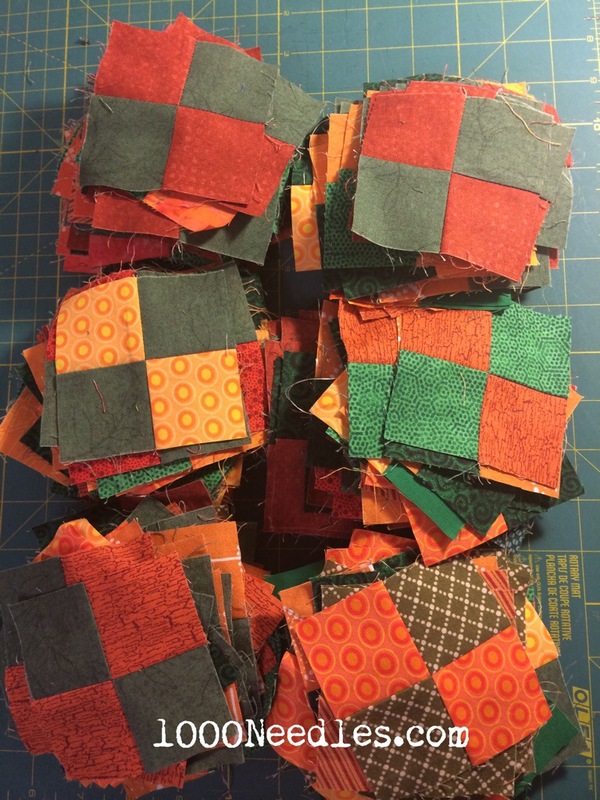 get the next part of Block 7 for Raining Cats and Dogs set up for applique-ing.